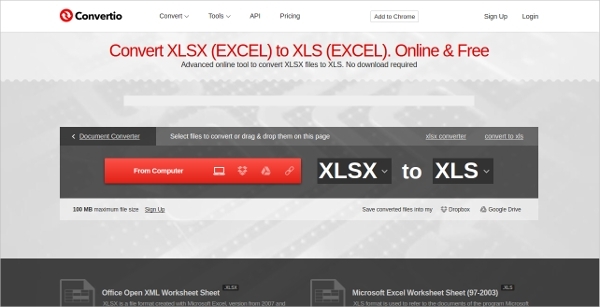 XLSX is a major format, used by spreadsheet files. It was released as a part of 2007 Windows update. This new format will not work on older versions as well as other platforms. However, with 2003 compatibility pack, you can view these files on Windows. This is a time-consuming process. The easiest way to access these files is to use an XLSX Converter software. Read further to know about the latest and smartest converter applications. 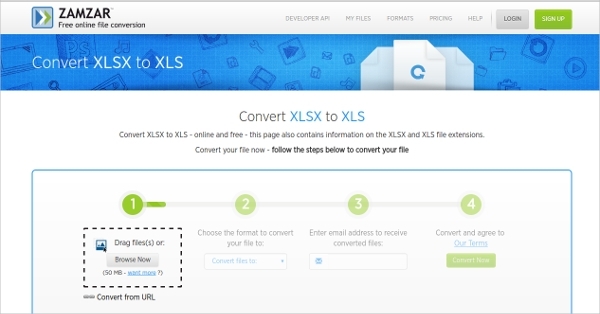 This amazing online software will allow you to convert XLSX files up to 50 MB. You can always convert huge files by creating a premium account. 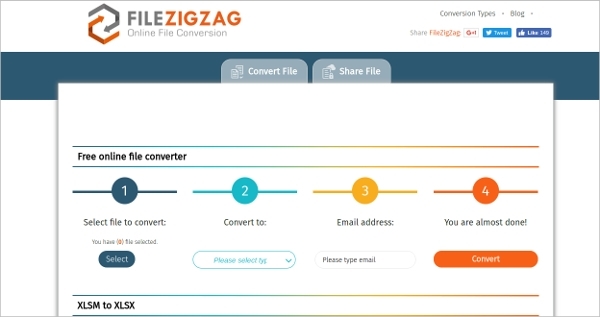 All you need to do is drag the file for conversion, or upload it using the ‘browse now’ button. Converted files can be downloaded from your e-mail. This is another fantastic online software that converts XLS, XLSX, PDF, XPS, CSV, XML, TXT, etc… You can get many upload options on this website. They allow you to directly convert files from cloud storage websites like Google Drive. You can also give URL of a web page that you want to convert. This software is very helpful for busy users. You don’t need to wait for the conversion to finish. They will send an e-mail alert, as soon as the conversion is done. You can choose the original file either from your computer or from an internet link. Many other conversion options are available here. You can upload any document format such as XLSX, XLTX, CSV, and TXT, for the conversion process. All you need to do is upload the file through their webpage. This is actually an online software. You can convert and use the file within no time, using their online platform. This is a free online converter for spreadsheet documents. This website allows you to receive the converted files through your e-mail. If you are in a hurry and wants to send the file immediately after the conversion, you can use this service. 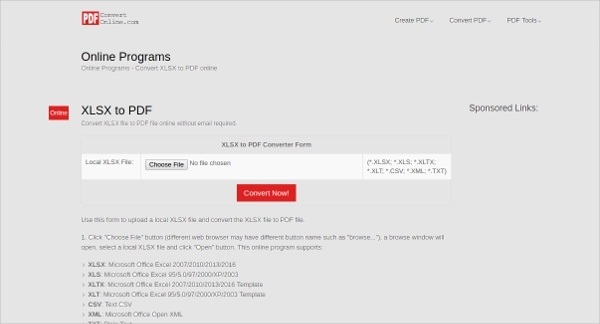 You can convert XLSX files to any format you like. This software converts XLS, XLSX, PDF, XPS, CSV, XML, TXT, and many other formats into various document formats. All you need to do is select a file and click on the ‘convert’ button. Default conversion format is XLS of Microsoft Excel 97/2000. You can use this service completely free of charges. As the name implies, this software can convert every type of Excel documents. This is an open source venture and can be downloaded to your computer for free. 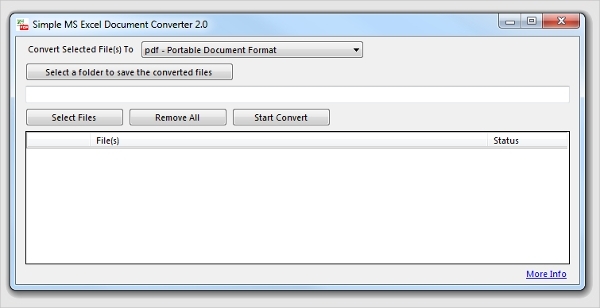 You can even get the source code of Excel document converter if you want to modify it. This is extremely simple and user-friendly. 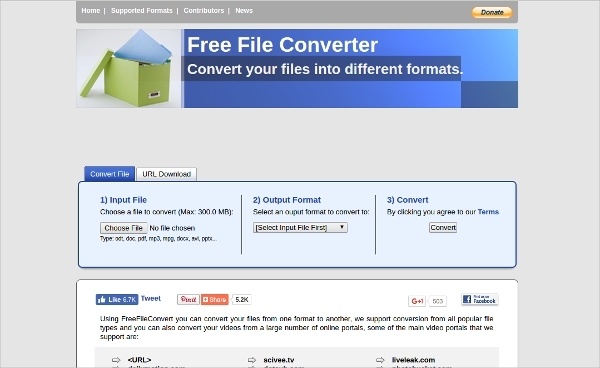 FreeFileConvert software easily converts XLS, XLSX, PDF, XPS, CSV, XML, TXT, and many other formats to the desired form. Most of the other online converters can only allow free conversion up to 50 MB. However, this amazing free file convert software allows you to convert 300 MB data without charging anything. An XLSX converter will convert the file into any desired format. This way, you can access XLSX files on any device. Most of these converters are available as online services. It means you don’t have to download or install anything on your computer. You can convert your excel file into many other formats, according to the requirement. An online XLSX converter is very helpful for busy customers. It is possible to get the processed file via e-mail, after conversion. This way, you will be able to forward the file to your clients or company officials without wasting any time. Big files up to 300 MB can be converted with the help of these applications.